Set ’em Up, Knock ’em Down (57/365 year 3) – Annoyingly Boring? Train domino set repurposed by three year old on a rainy Tuesday. Oooooooh, I just want to push ’em! Great shot! Nice shot Pat. Did you shoot with your reversing ring? Also, did you get the article on physiograms I emailed to you? Love this shot. 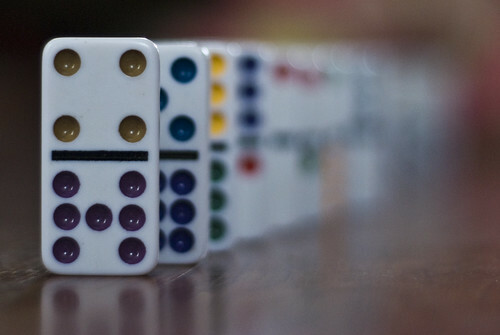 I grew up playing dominos with my grandparents and it brings back really good memories.